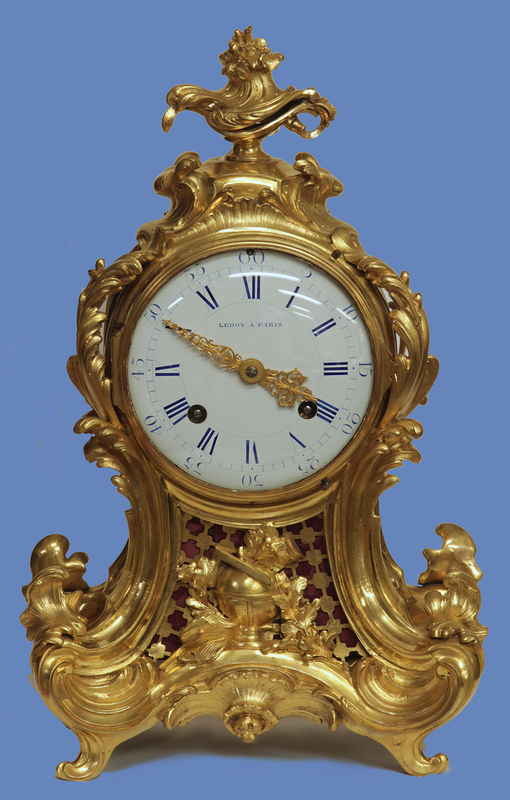 c. 1765 French Ormolu Transitional Mantle Clock. 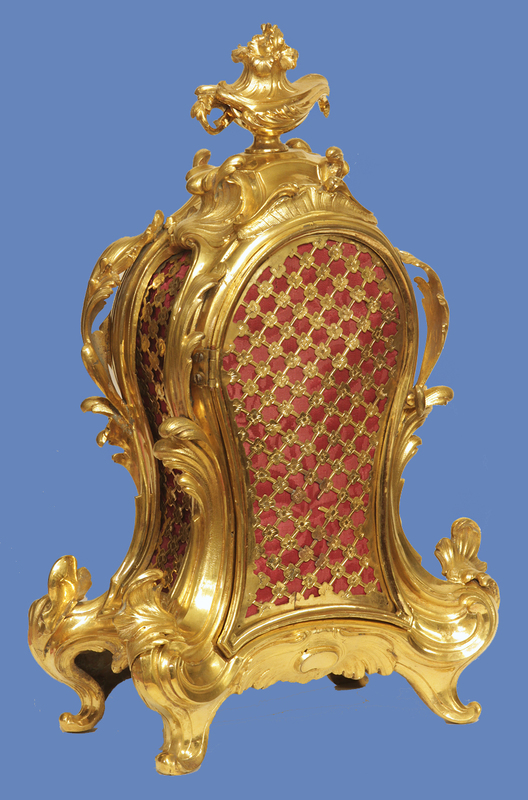 The shaped ormolu case is composed of sweeping floral elements accentuated by wonderfully contrasting matte and burnished gold finishes. 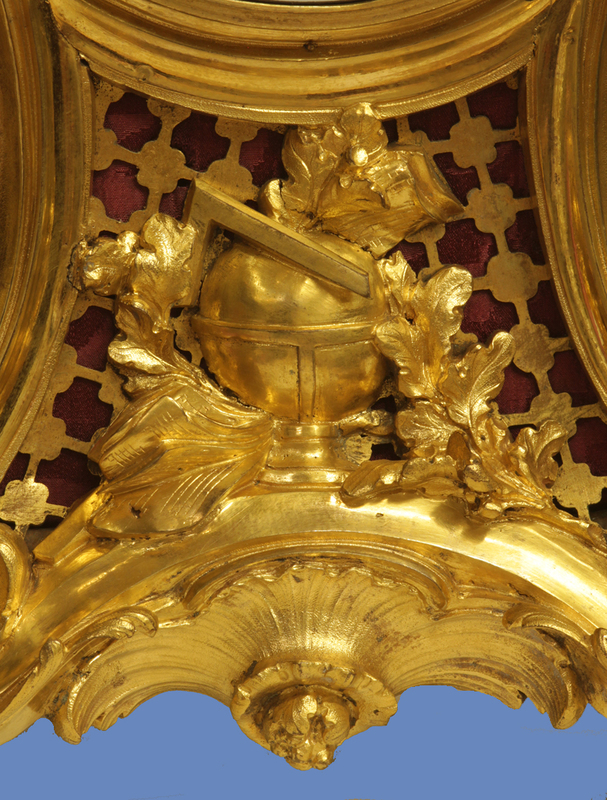 It is a tribute to astronomy with a globe and compass in the center, has engraved fretwork to all sides and a decorative finial above. 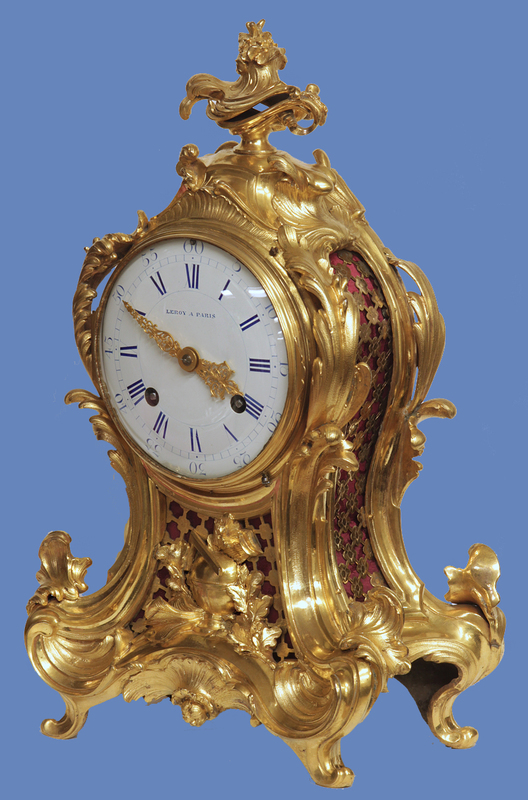 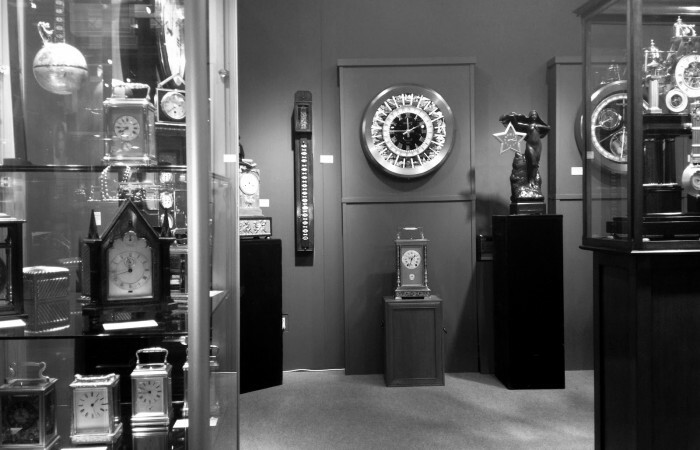 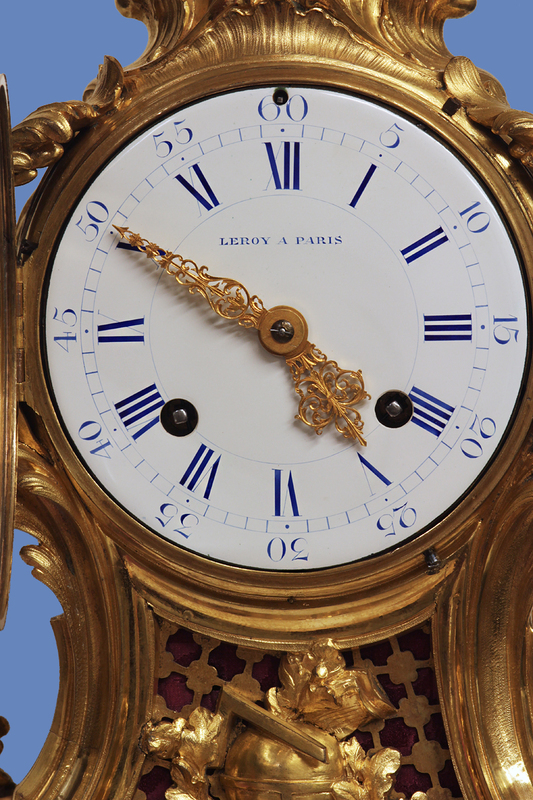 The large white porcelain dial has blue lettering, Roman numerals for the hours, Arabic numbers for the five-minute marks, elaborate ormolu hands, the fast/slow over the ’60’ and is signed by the maker, ‘LeRoy A Paris’. 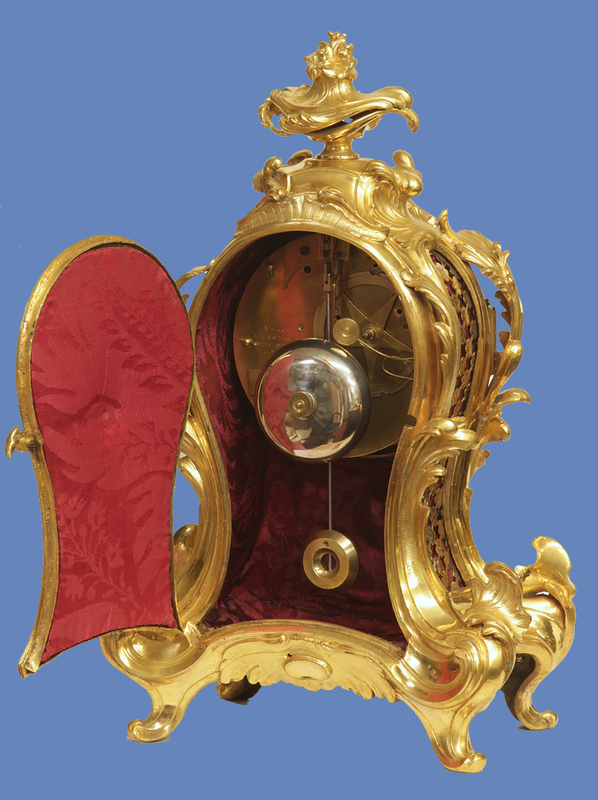 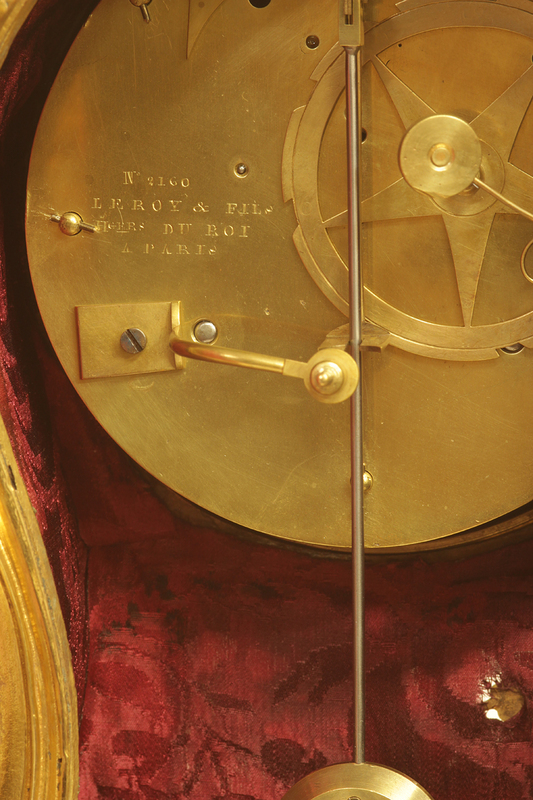 The large eight-day time and strike movement has turned posts, a large countwheel with a star shaped center, an updated Brocot escapement and is signed, ‘No 2160, LeRoy & Fils, Hger Du Roi, a Paris’. 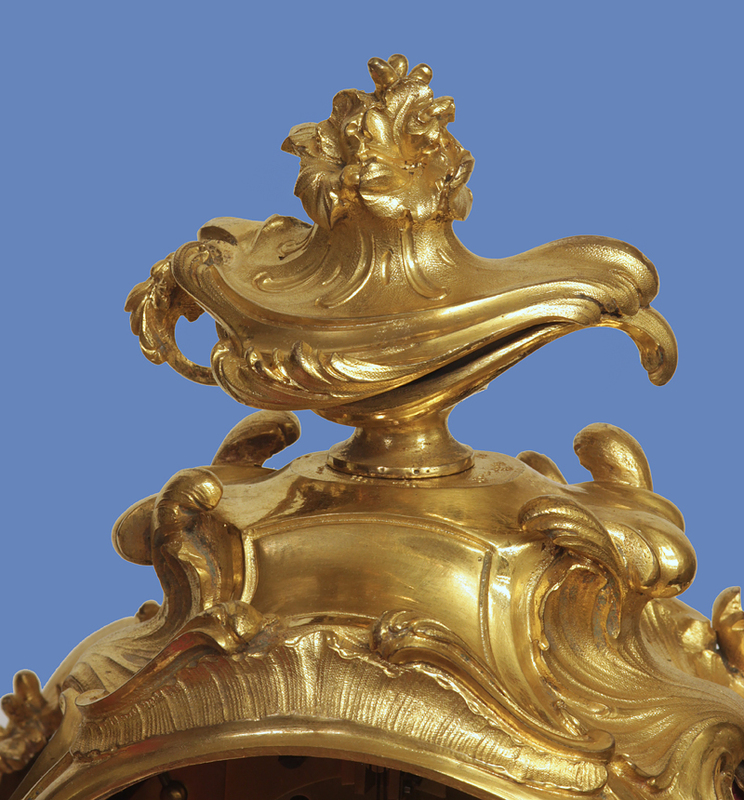 This is a great example of the transitional phase between the Rococo style and the Neo-classical.